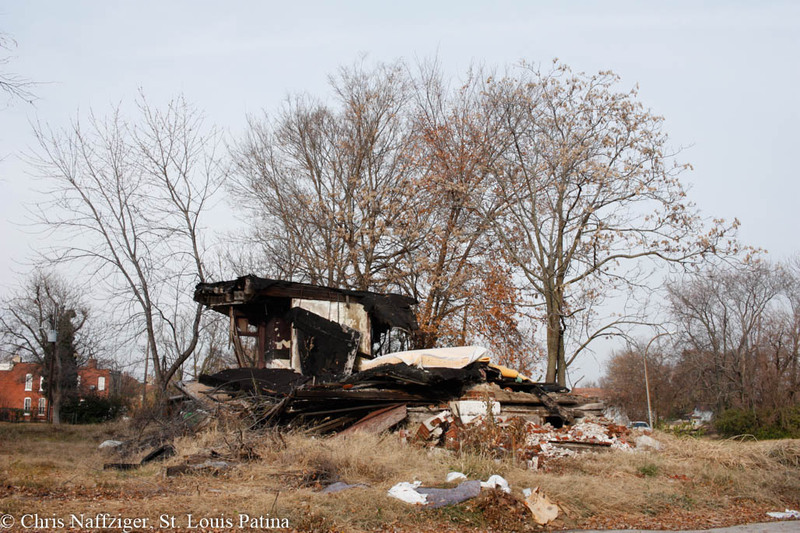 I wanted to check up on JeffVanderLou, an area that straddles Grand Boulevard, and that is heavily affected by disinvestment, abandonment and demolition. 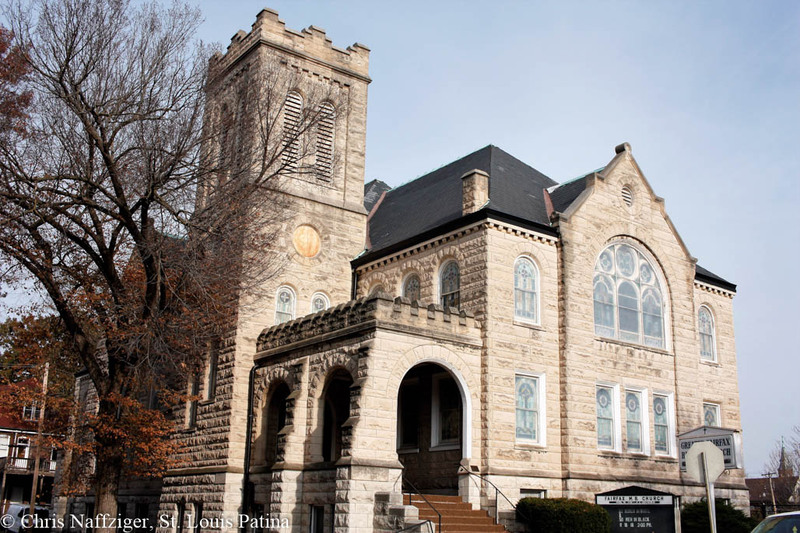 There are still so many wonderful buildings left, though, such as this Romanesque–Gothic Revival hybrid church above. But then there is this savaged, brick-theft ruined house, which has sat like this for a long time (I photographed it back in July of this year). And also, remember that burned out minivan I covered a month ago? 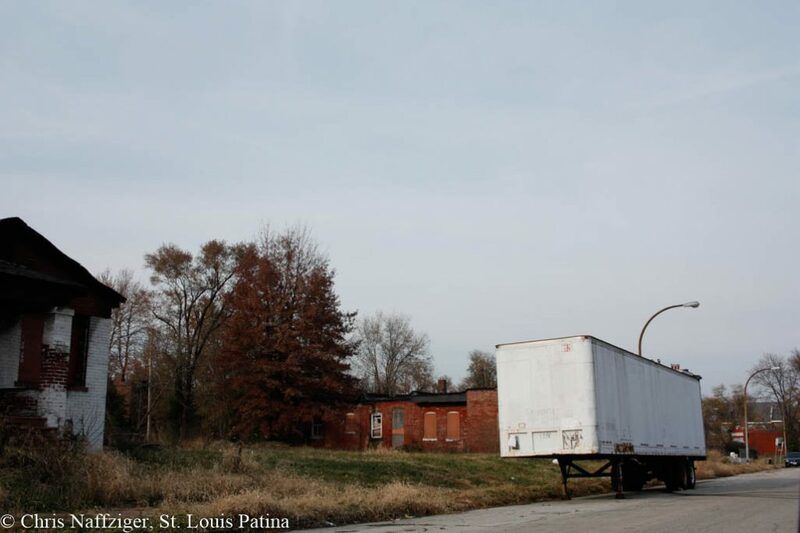 It has been replaced on that desolate street with an abandoned trailer, filled with used tires. 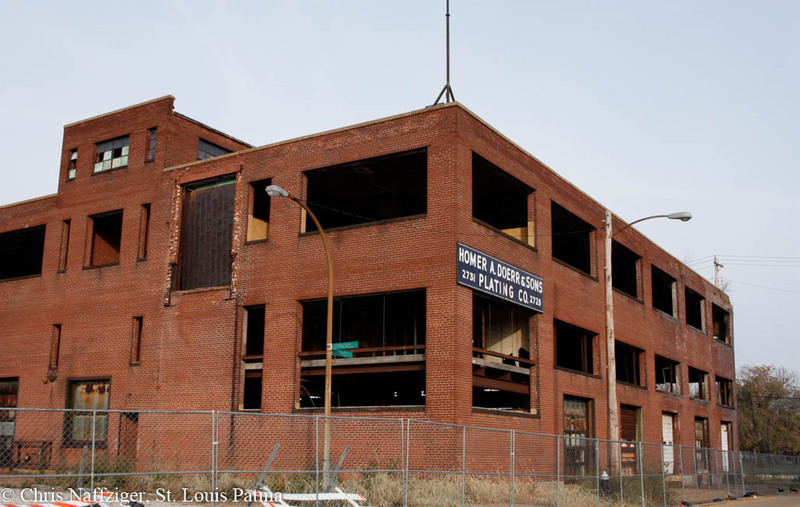 Meanwhile, the old Doerr Plating Co. building has had a $22,140 demolition permit pulled on the property. I assume, from my experience, that for that much money the entire building is being torn down. I hope they keep the sign. 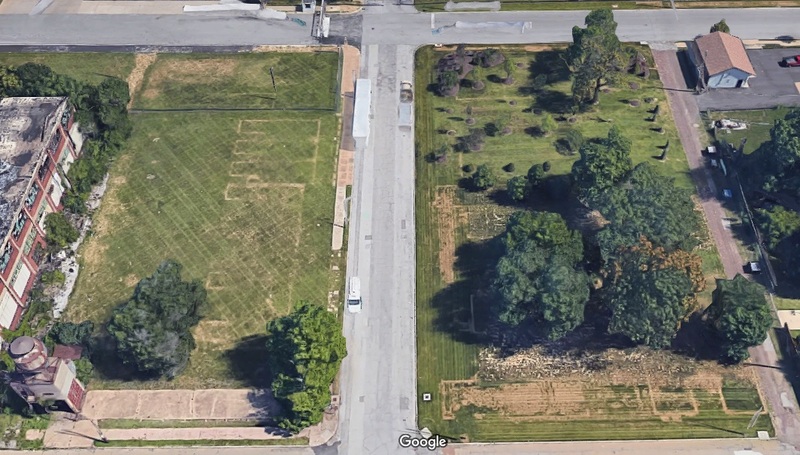 Looking at the lots to the east of the demolition, I realized that you can see the outlines of the foundations of the houses demolished, their walls probably pushed into the cellars and grass planted on top. Satellite image courtesy of Google.